Library What Does E Pluribus Unum Mean On Coins? 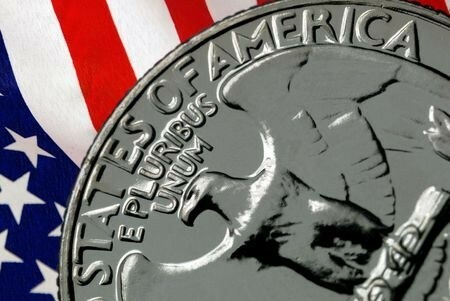 What Does E Pluribus Unum Mean On Coins? E Pluribus Unum – we see these words on our virtually all of our nation’s coinage. But what does this Latin phrase mean, and why is it so important that it appear on our coins? Why is the motto "E Pluribus Unum" so important to America? How does "E Pluribus Unum" relate to society today? The motto "E Pluribus Unum" has been required on all U.S. coinage since the late-nineteenth century, and it is on the coins that Americans, whether coin collectors or not, most often encounter today. "E Pluribus Unum" is a Latin phrase that is best translated as, "Out of many, one." These words, as they relate to the United States, have particularly great symbolism when taking into account the fact that the motto was proposed on July 4, 1776 as the theme of the seal for the United States. That these thirteen colonies, composed of peoples of many nationalities, could unite to become one country – the United States of America – made the motto "E Pluribus Unum" a vitally symbolic reflection of our nation's strength and dynamism. The "E Pluribus Unum" seal concept was not approved, but the powerful motto was included as part of the Great Seal that Charles Thompson created in 1782. Over time, "E Pluribus Unum" became a part of many aspects of American government and culture, perhaps most notably on our money. In 1795, the United States $5 Gold Eagle became the first coin to feature the motto "E Pluribus Unum." The coin's reverse has a design similar to the nation's Great Seal. While the motto did not appear regularly throughout much of the 19th century, it would eventually be included on all United States coinage. An 1873 Act mandated the motto appear on all United States coinage. Incidentally, it was on the two-cent coin in 1864 that "In God We Trust" – which in 1956 would become our nation's official motto – first appeared on our nation's coinage. United States coinage today is changing at a rapid pace due to laws that have authorized several new designs for the one-cent, twenty-five cent, and one-dollar coins. Yet, despite all the design changes, "E Pluribus Unum" remains a reminder in our pockets, purses, and piggy banks –and in our hands – that our nation is built on the labor, efforts, dreams, and hopes of the many to make ever stronger these United States of America.